Squashed Star Wars: The Force Awakens Film Canisters found in the road! 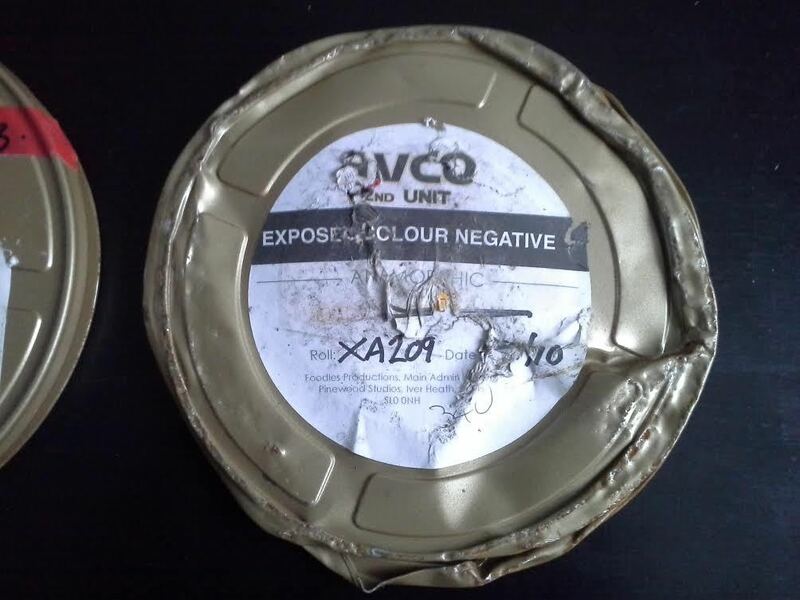 We were walking along the street yesterday (London) and came across 20 or so film canisters in the road that had been dropped by the collection truck. They were empty and had been squashed, however on the canisters is the names ‘Avco’ and ‘Foodles productions’ as well as the Pinewood studios address. Thought this might be of interest to you. 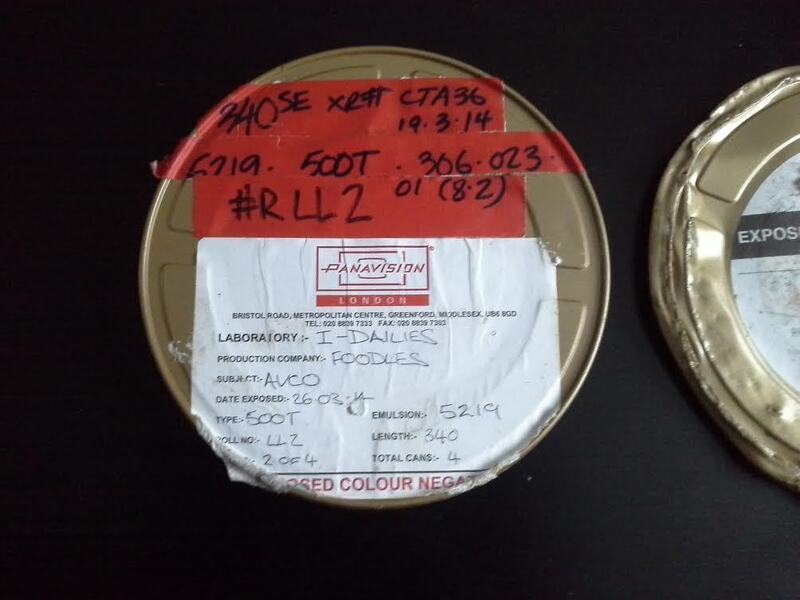 Attached is a picture of a couple of the raw film canisters. Unfortunately not, there were a few frames of film laying around, but they either didn’t have anything on them or they had been exposed to the sun since they were left out in the street so I couldn’t see anything on them. This is a really esoteric thing to see. Pretty cool if you ask me. Thanks to David for sharing his extremely bizarre find with us.